Stamp ~ Sugar Nellie "Manga Home Grown Range"
Yep this is another post today....So please scroll down for my HCTB GDT card....ta...! 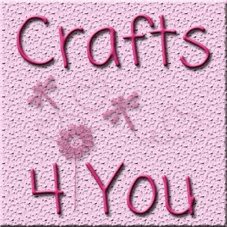 Well has the title say's I have a wee bit of news I would love to share with you....a couple of months ago Janet approached me about her new on-line craft shop she is opening....and asked if I would like to be part of her DT team to showcase some of her gorgeous goodies....well I thought about it for a milli second and said YES...! The new shop opens on Tuesday 1st November...! Cute Stamps....Bildmalarna, Fuzzy Moon, Stampavie and many more...! Beautiful papers.....Bo Bunny, Papermania & Nitwits....plus more...! Card......including Craftwork Cards & Bazzill...! and that's just an incy bit.....lol.....! So that's my exciting news...hope you all have a fab evening...and I cannot wait till the results shows tonight...! HERE COME THE BOYS GDT CARD # 14 ~ MONSTERS.........! Well it's another lovely, sunny day here in Essex.....and did you enjoy your extra hour in bed...?? So onto today's card....and this is my final GDT for HCTB....and the theme for this challenge is...."MONSTERS".....! Papers ~ Nitwits "Monster Mayhem Too"
and over at X-Factor....I really loved Mischa B, Marcus, Janet, Kitty and of course Johnny....! Ooh I'm so pleased it's the weekend......two lovely day's off work and plenty of crafty time too...lol! So have a looksy at yours....and are you surpised?? I was when I looked at mine....and I just knew it was going to be a boy...lol... it's amazing how much better my colouring has improved....the original post was done back in March...you can check it out here....and it's great to look back on your own work too....! So that's all at the mo....might be back laters with a new card...but if not have a lovely day....and don't forget....X-Factor & Strictly...woohoo...! TOTALLY PAPERCRAFTS # 90 DT CARD ~ GLITTER IT.....! Well another week has passed......and it's Friday again.....and it's another fabulous challenge over at Totally Papercrafts .....! Papers ~ Nitwits "Snow Folk"